The US-origin watchmaker Hamilton has added a new model to its Jazzmaster collection featuring a power reserve indicator. 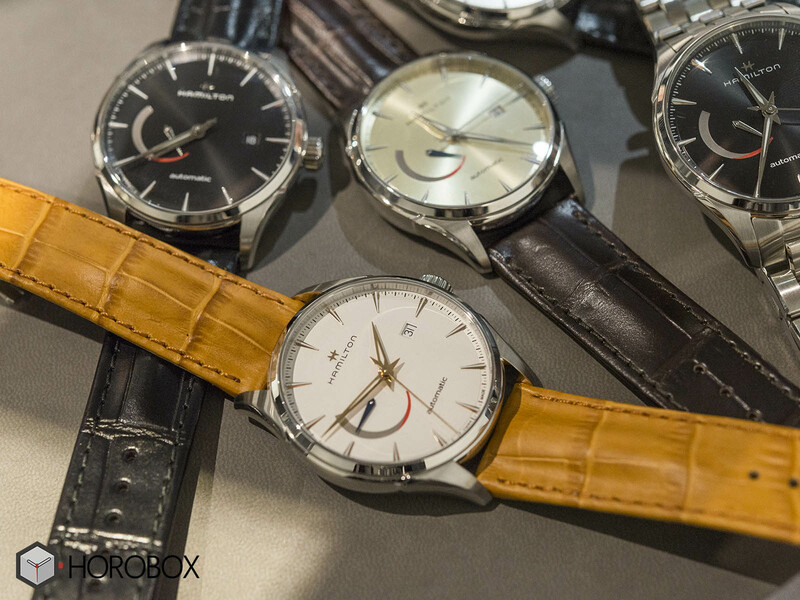 The models that are produced in 3 different dial colors are powered with the newly developed Caliber H-13. 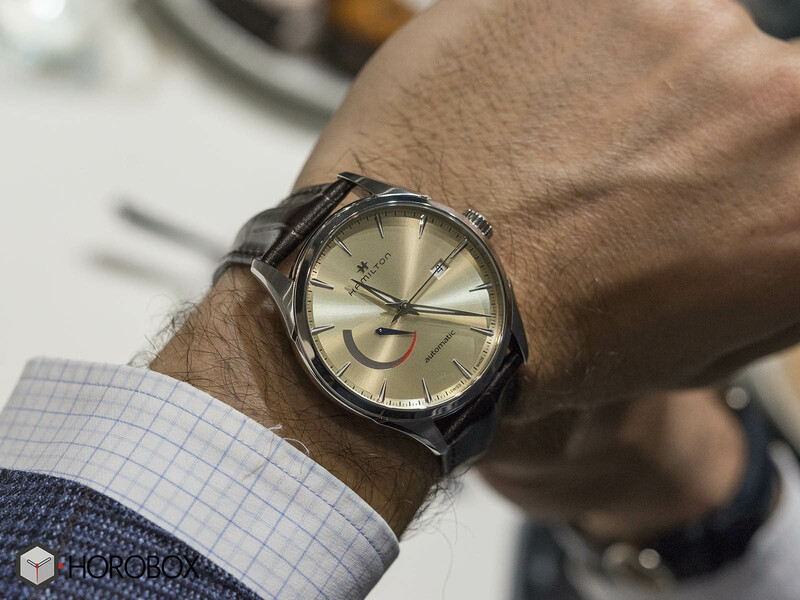 The new model comes in a stainless steel case measuring 42mm in diameter. Sporting an anti-glare coated scratch resistant sapphire crystal on the front side, the case is water resistant to 50 meters. 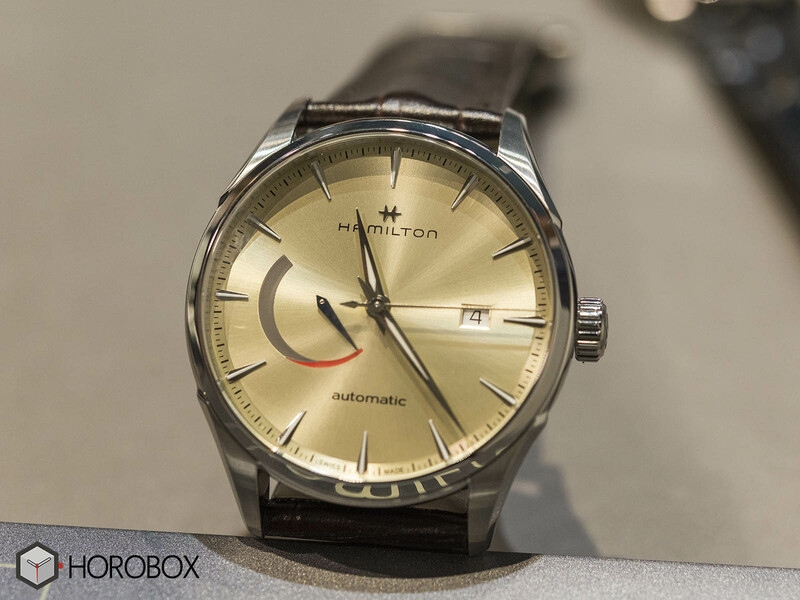 Hamilton Jazzmaster Power Reserve is offered in three different dial colors as black, silver and white. All versions feature a power reserve indicator at 9 o’clock and a date display at 3 o’clock. Hands and indices are SuperLuminova coated for improved eligibility in light-free environment. The model is powered with the newly developed Caliber Ref. H13. 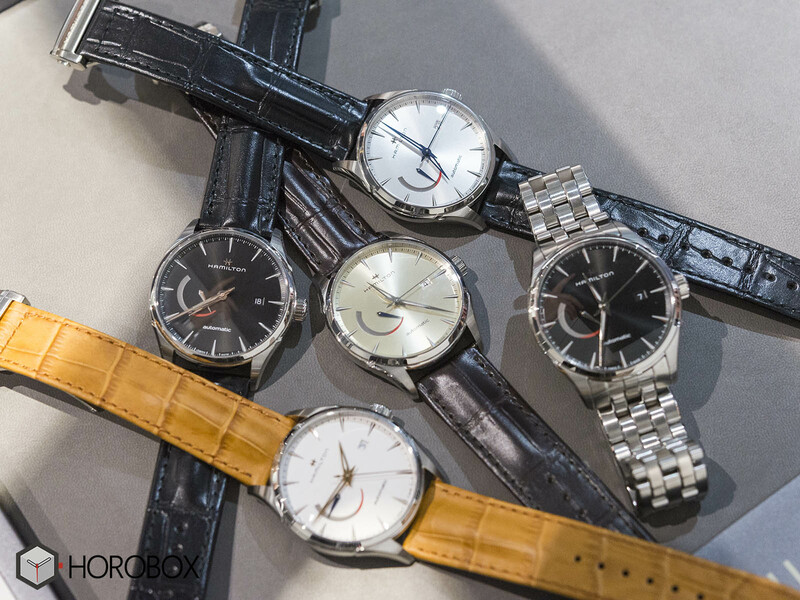 Self-winding movement offers a pretty good power reserve of 80 hours when fully wound. The new models are offered with three strap options as a stainless steel bracelet and a pair of leather straps finished in black or camel tones. Leather straps are secured with stainless steel buckles. The starting MSRP of the model is announced at 1195, 00 CHF.